After Matt popped the question, I could not wait to start planning. We told our families and friends the news and you can only imagine the amount of ideas that overwhelmed Matt and I. What wedding planning really turns out to be is a balancing act of what you’ve dreamed of since a little girl and incorporating ideas of the ones you care about most. Though it was and still is a tough balancing act, I always kept in mind that this is me and Matt’s big day. The first thing that I did to start our planning process is think of the style of wedding that I wanted. I’ve always wanted a laid back, outdoor wedding, where my family and closest friends could come celebrate my future husband and I. I had three important elements that needed to be a part of our wedding; the water, flowers and greenery everywhere, and candle light. Then we started thinking about color themes…well I guess I did because Matt wanted our wedding colors to be burgundy and gold (Washington Redskins colors). Sorry babe, not happening. After changing my mind three times on the colors that I wanted, I finally decided on a blue-gray and white theme while mixing metal, wood, and glass for texture. Once I had a few ideas in place, I started pinning on my Wedding Pinterest board. I’m sure everyone saw this coming. 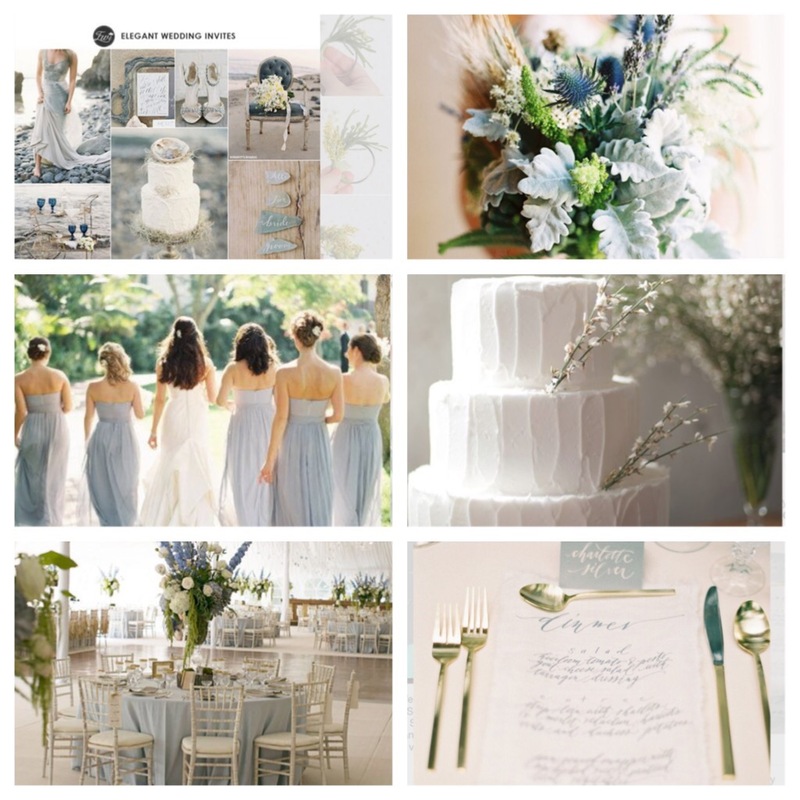 Pinterest is loaded with inspiration and it also helps you communicate with your family, friends, wedding planner and vendors exactly what you want for your big day! Here are a couple of images I pinned to my board. Having this “inspo board” (what we call it in the design industry) has helped as a source that I can reference when making decisions throughout the process. No one likes a wedding where their theme is totally jacked up! As I’m sure you can probably tell, I’ve made a lot of decisions based on my design and personal style. I am lucky enough to have a man that lets me have what I want on our big day. He has been extremely supportive and helpful throughout the whole process…Make sure to check back tomorrow to find out where we chose to get married!